Definition: Torsion springs are helical springs made from coiled round wire. At each end they have what we call legs. These legs will be against the moving object which will be in charge of pushing on the legs thus producing torque when a radial force is applied. 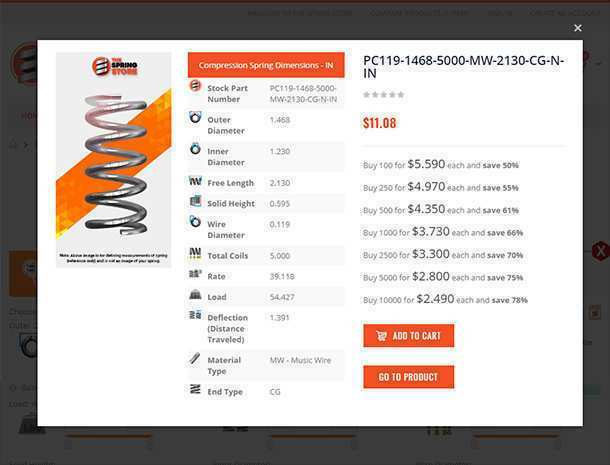 At The Spring Store by Acxess Spring, we have made a lot of advancements in torsion spring technology. 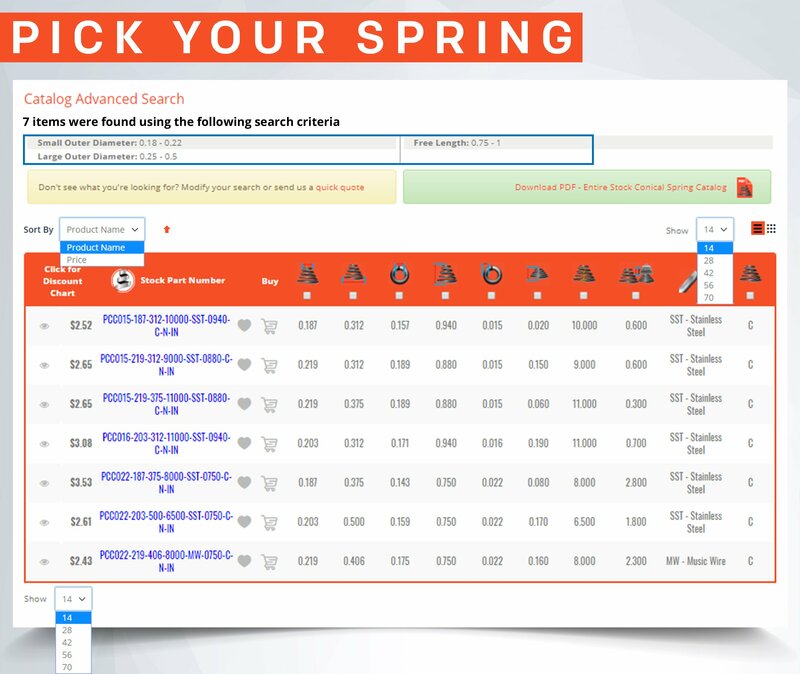 These advancements include our Torsion Spring Calculator and Torsion Spring Finder. 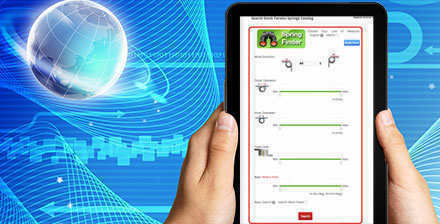 Our torsion spring calculator is an advanced torsion spring design software. There are no unnecessary inputs. The only required inputs are your spring’s physical dimensions and material type. If you decide you want a different wind direction from a left hand wind direction, you may also choose for your spring to be right handed. We do not ask you for the torsion spring rate or anything that involves you going out of your way to calculate through long and difficult formulas. After all, that is why you’ve come to a spring calculator, so it can calculate those values for you. And that is exactly what Spring Creator is here to do. We will provide you with the spring rate of inch pounds (newton millimeters) per degree as well as the spring rate of inch pounds per 360 degrees. Yes, you are also able to generate a torsion spring design using the metric units of measurement. All springs also have a limit of deflection, you will be provided with that as well, including the maximum torque possible. 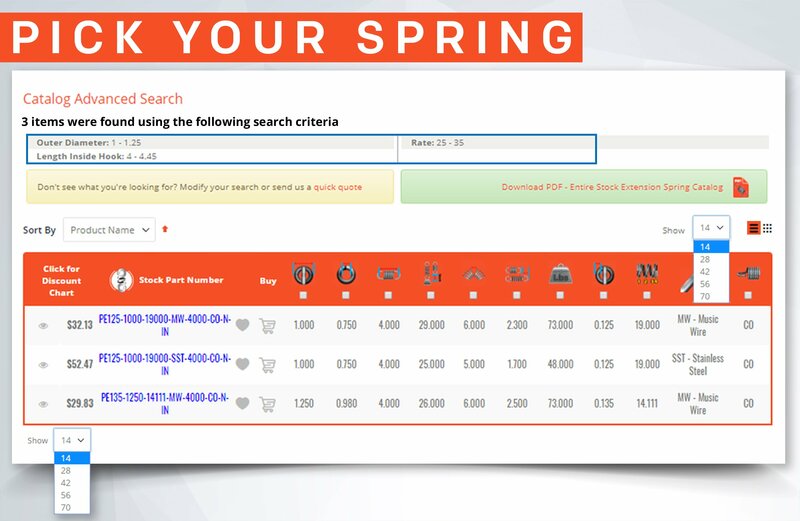 This spring calculator is the first ever to be so simple and user friendly, making it a huge advancement in torsion spring technology. 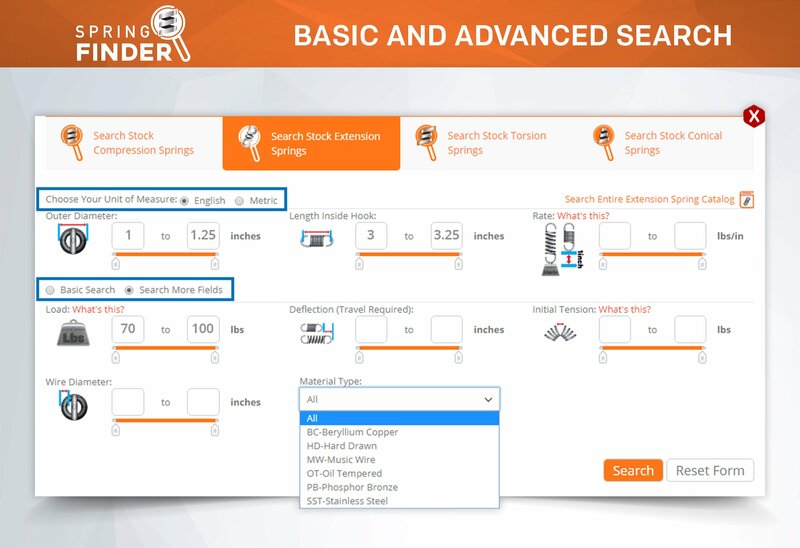 The torsion spring finder is another marvelous piece of torsion spring technology. 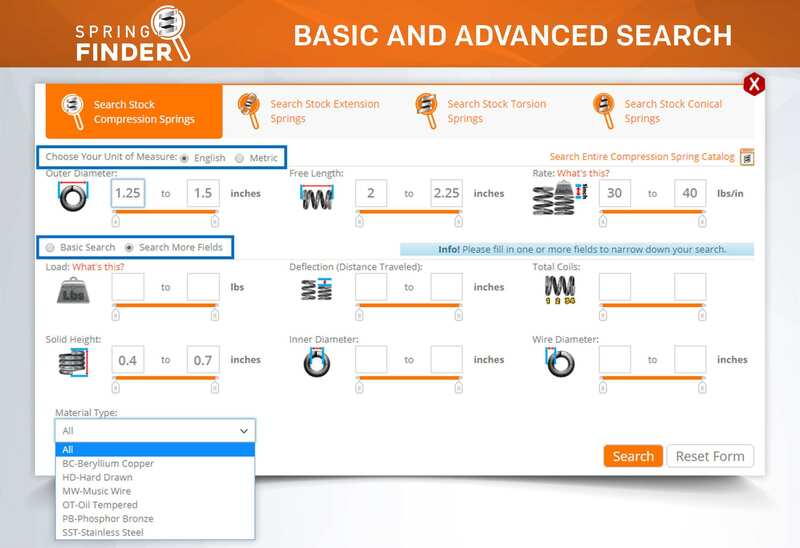 An easy how-to-measure-torsion-springs diagram is provided to make it easier for people outside our industry to distinguish each respective dimension they might enter to search for their stock torsion spring; perhaps a stock replacement spring. 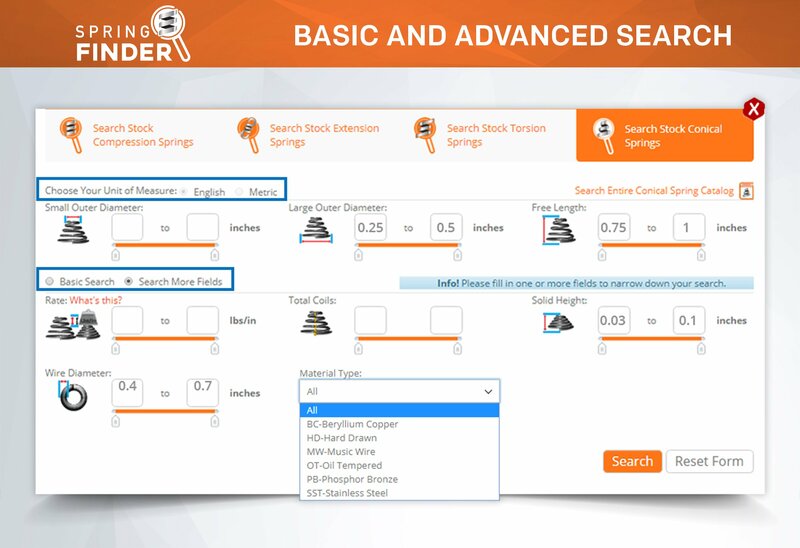 The finder gives you the most common dimensions to enter (keep in mind that they are optional) but it also gives you the option to “Search More Fields” where you will be provided with more dimension inputs to choose to narrow your search down a bit more. 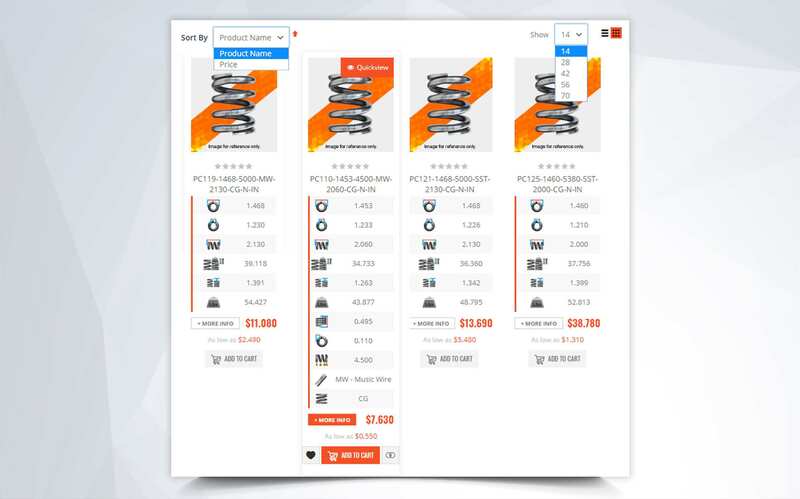 The search is done in ranges which you are able to decide on based on your personal tolerances. 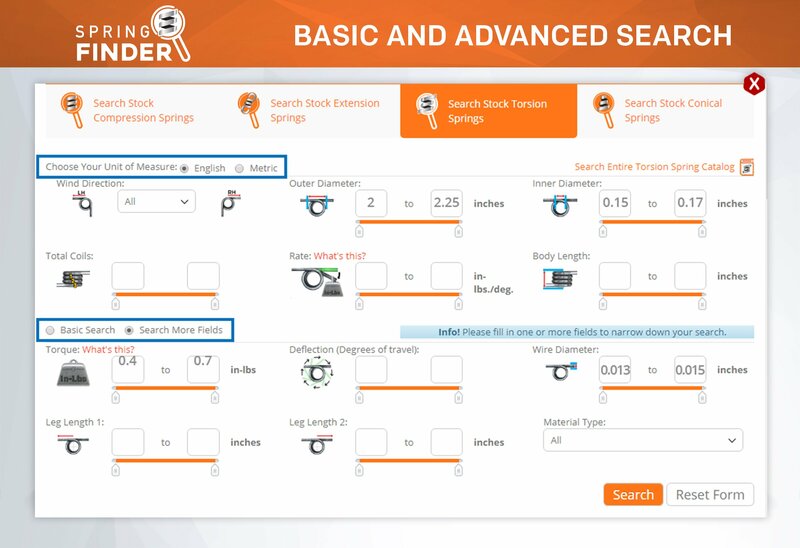 What makes Spring Finder different from other spring search engines is just how easy and user friendly it is to use. If we don’t have a picture for it, you may roll your mouse over the "What’s this?” link and you will have an explanation for that specific term. There is also the live chat where we can assist you without having to get on the phone or send an email. After all, don’t we all love texting? 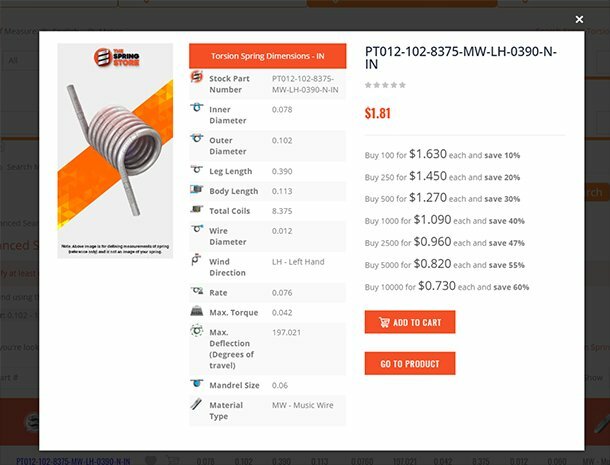 The next big thing in torsion spring technology is our Instant Quote! 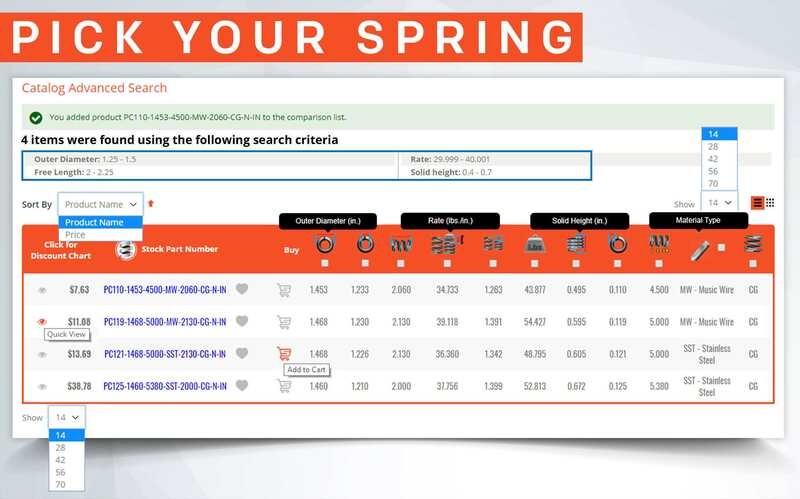 That’s right, we have elaborated a spring quoting software which will soon appear on spring creator and throughout our websites; both Acxess Spring and The Spring Store. 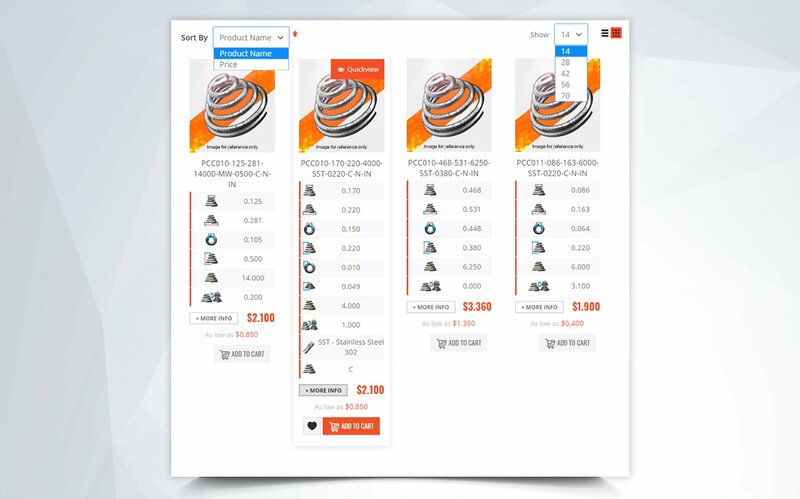 With our Instant Quote you will no longer have to go through the hassle of waiting for the response to an email or to a long and complicated Request for Quote (RFQ) form. On our websites you will see that we’ve also provided a Quick Quote form but that will no longer be necessary. 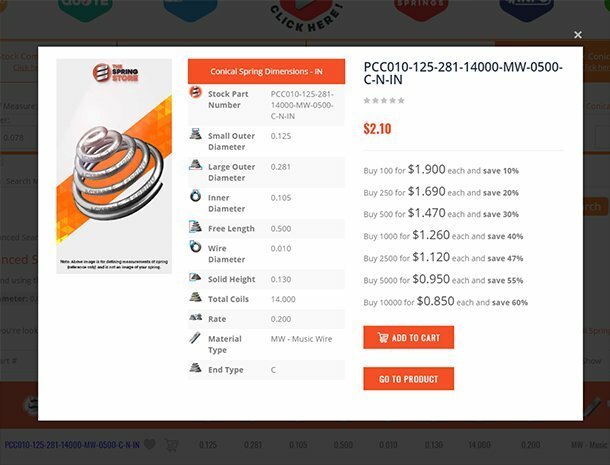 Design and shop for your springs in that exact moment! 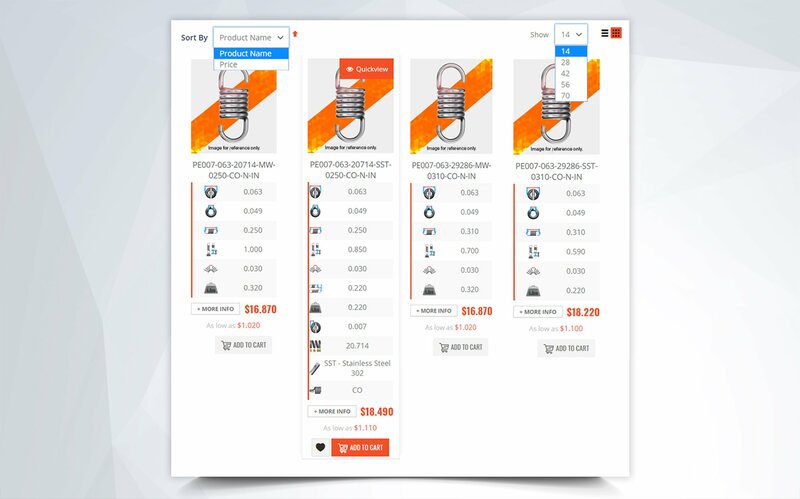 The quote will display the per piece price for a range of quantities so that you don’t have to go through the extra step of deciding what quantities you want to have quoted. 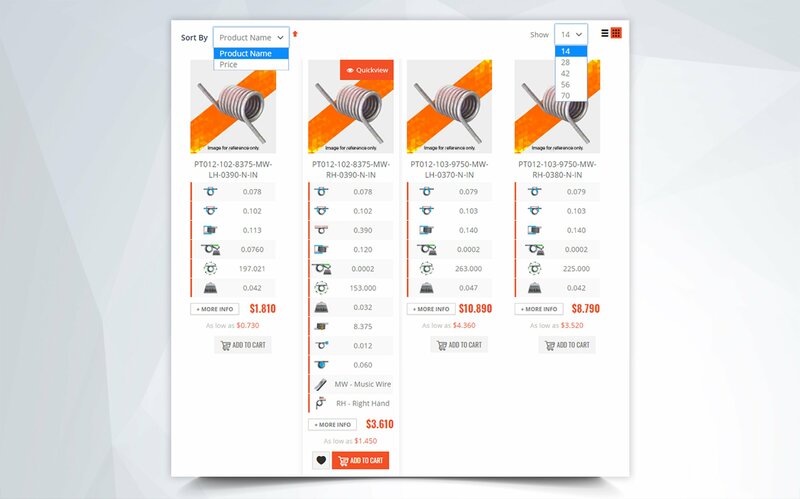 This way you are also able to see how much you can save by ordering larger quantities. 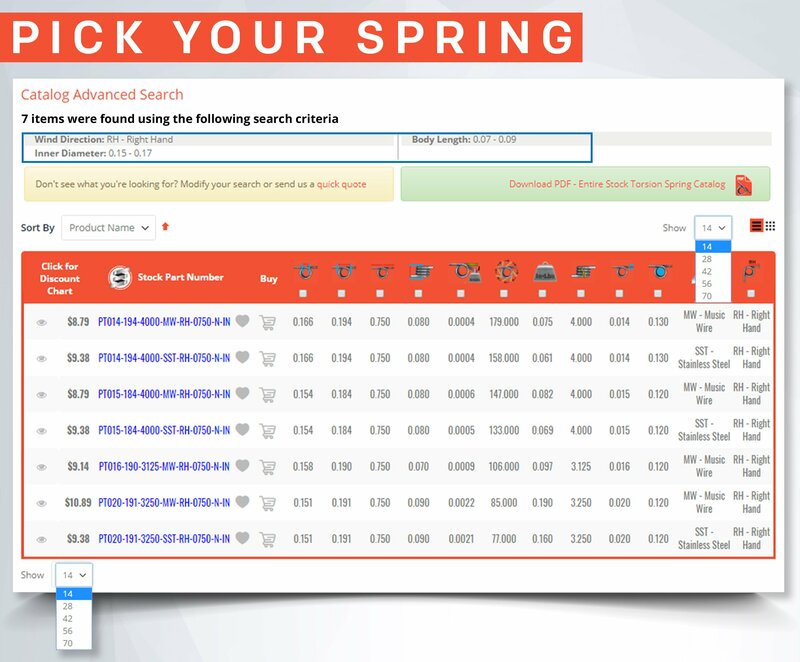 Spring Creator, Spring Finder, and our Instant Quote are what make The Spring Store by Acxess Spring an innovative spring company. 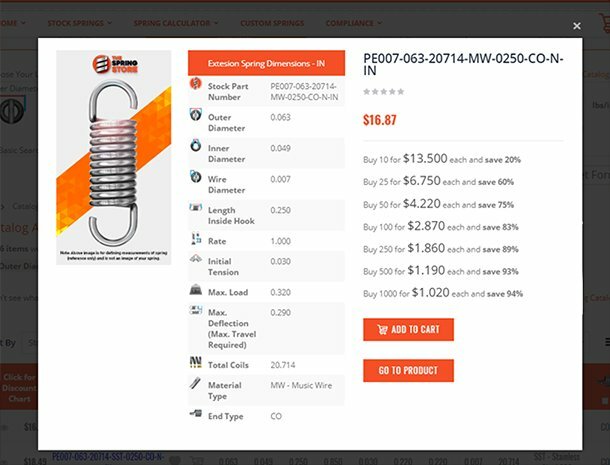 We’re always aiming for more; trying to make your torsion spring shopping experience a bit easier. If you are stuck on a design, do not hesitate to contact us. Our qualified and experienced torsion spring engineers will be more than happy to take your call and work out your torsional spring design.